Includes no bass, no drums, but it is a trio album... It is so Nordic that you can notice this signature only by hearing some seconds from the album without looking at the cover. 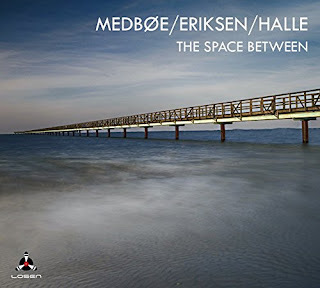 Born in Norway but living currently in Scotland, the guitar player Haftor Mødboe collaborates with two famous other Norwegian musicians in this album: Espen Eriksen on piano (and harmonium) and Gunnar Halle on trumpet (and voice). Mødboe is a known figure in UK jazz scene and he is actually on the academic side of the jazz music too. Espen Eriksen and his trio are among internationally active stars of the Norway and Gunnar Halle is one of the most visible trumpeter of Nordic scene with an amazing discography. This extraordinary trio recorded The Space Between in Castlesound Studio just after their first concert in Edinburgh Jazz Festival in 2015. Being the composer of all pieces, Haftor Mødboe chooses to be just a part of the trio, instead of the leader in the album. More than this, he usually prefers to stay in the background except some parts in some pieces. The absence of explicit percussion seems to have created a clean and vast area for all these musicians of nuances. Even the compositions are catchy, I can easily say that the power of the album resides at the style it is played rather than what is played. All instants and movements, the highs and lows... They are all almost visible rather than audible thanks to musicians' concentrated performances. With some transistor radio sounds and first riffs of the piano, the guitar starts to present the nice main theme of the East Pier, which can give a good idea about the overall feeling of the album. The following trumpet line is very touchy and controlled. Espen Eriksen's solo is also very promising for the rest of the album. This is certainly one of the best performances of the album and it catches the audience right from the heart in the beginning. With the piano and the guitar on the rhythm line, the introduction part of the Bell Rock is like a playground for the the trumpet. The body between 2:00 and 4:00, where trumpet is increasing the tension with upper registers and improvising collaboratively with the piano, is impressive. Gunnar Halle's unique tone needs attention too. The breathful-sound creates a very organic texture for the whole ambiance. The main theme of Utsira High feels like the soundtrack of an independent film, which is about a man living with an endless nostalgia. The voice by Gunnar Halle appears right when the guitar starts a solo part and then Espen Eriksen's piano tells its idea about the main theme. Forty Mile Ground starts with a minimal duo performance of piano and trumpet. The guitar slowly touches to the sound just before a beautiful solo of Espen Eriksen. The trumpet is then accompanied by some electric guitar and piano. Gunnar Halle is really good at controlling the tension with slow changes in trumpet's sound and level of lyricism. Bass line piano is followed by main storyteller guitar and trumpet in the first part of Skagerrak. Then the roles are exchanged and the guitar and trumpet start to create a mystic background for a short solo performance of the piano, followed by trumpet accompaniment. There is also an interesting three-sided conversation part through the end. A paralel line between the piano the guitar is accompanied by a deep effect-carrying voice - probably from Gunnar Halle in Fladen. 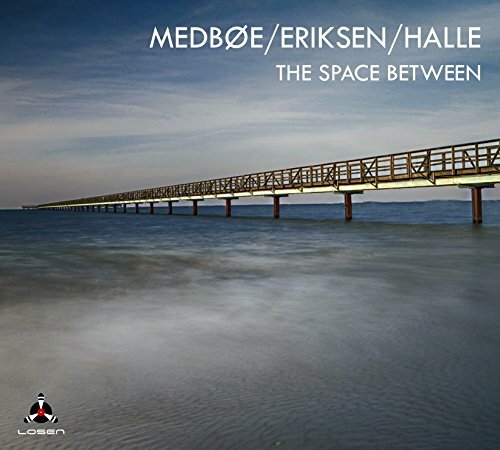 The acoustic guitar performance of Haftor Mødboe is like something above all Nordic characteristics of the whole album. The reverberant vocal performance in the background is really beautiful. The touchy trumpet tone of Gunnar Halle over Espen Eriksen's harmonium creates a wonderful introduction for the last piece of the album, More Viking Than You. Harmonium creates a heavenly sound as if a church organ is on the stage. The melancholic aura leaves the listener in a state where nothing is resolved or resulted into anything at the end of the album. The record quality is at top notch. The localisations of the instruments on the stage and resolution supplied for each individual are all impressive. Especially the trumpet sound is very detailed. The recording and mastering is made by Garry Boyle. Mixing and production belongs to Graham Coe. The label of the album is Losen Records.